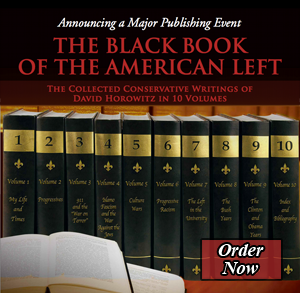 All the volumes in this series of my collected writings called The Black Book of the American Left are about individuals who call themselves progressives. This volume focuses on the nature of the progressive outlook and its realworld consequences. The progressive label is one that its adherents wear proudly. It appeals to their amour propre, identifying them as people who are forward-looking, therefore enlightened and modern. “Progressive” fits their sense of themselves as apostles of hope and change, in fact as a species of social redeemers. Consequently, the basic premise of their politics is that “forward” is necessarily a good direction, and that a fundamental transformation of social relationships is both possible and desirable. As an expression of this self-image, progressives commonly refer to themselves as being “on the side of history,” as though history was steadily moving towards beneficent ends. Inevitably, the term “progressive” has the added advantage of putting the best face on their collective achievements, although these have frequently entailed consequences that were destructive on an epic scale. It also leads them to make alliances both formal and informal with the enemies of the relatively enlightened democracies in which they actually live. In addition to examining an outlook that leads to such regrettable results, the essays in this volume pay particular attention to the connections between progressive movements of the present and their antecedents in the past. Bearing these continuities in mind and retaining a sense of past results are essential to understanding the real-world consequences of the progressive faith. Without question, the most devious, dishonest and, in this hour of his nation’s grave crisis, treacherous intellect in America belongs to MIT professor Noam Chomsky. On the 150 campuses that mounted “teach-ins” and rallies against America’s right to defend herself after 9/11; on the streets of Genoa and Seattle where “anti-globalist” radicals have attacked the symbols of free markets and world trade; among the demonstrators at Vieques, Puerto Rico, who wish to deny our military its training grounds; and wherever young people manifest an otherwise incomprehensible rage against their country, the inspirer of their loathing and the instructor of their hate is more often than not this man.